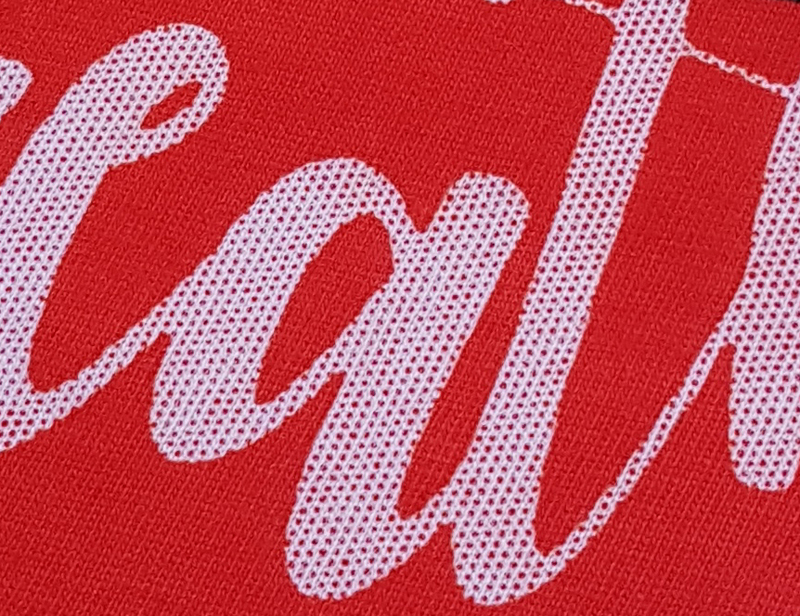 Very occasionally customers ask me about different options for screen printing, but i have come to realise that most have little to no idea at all of the options available to them and how these options are affected by the substrate (fabric) being printed on. While advances in polymer technology have seen an increase in the availability of printing options, customer expectations are at an all time high for outcomes that are vibrant, durable, and soft. The purpose of this piece is to shed some light so that customers can make an informed choice regarding both their prints and their selection of fabric. There are three popular families of ink and all have their place. Traditional plastisol has been the go-to for fabric printing for many decades due to its excellent durability and ease of use. It is still largely the standard by which other inks are compared. Chemically, it is a synthetic resin that converts to a hardened plastic when cured with heat and this creates a mechanical bond with the surface of the shirt, that if done properly, can last many years. It's main advantages are that it is generally more opaque than the other ink types, and also more cost effective. With the use of additives, it can also be tailored for use on fabrics other than the traditional 100% cotton garment, such as poly/cotton blends, 100% polyester and nylon, as well as newer stretch fabrics. This of course presents a new set of challenges for the print maker and so printing onto non 100% cotton can mean an increase in price for the customer. It is also very good for prints that require many different colours and excellent for prints with fine detail. The main disadvantage of plastisol are that it can be heavy and thick, particularly if printing on to dark garments, as it sits on the surface of the shirt. It is this one reason that has given rise to waterbased ink. Advances in polymer technology have meant that today, water based ink can now rival and often surpass plastisol for wash fastness. Whereas plastisol sits on top of the shirt, water based ink pentrates the fibres of the garment. This results in a much softer, breathable print that if correctly cured can outlast the shirt in many instances. Printing on to non 100% cotton can also be done with a slight modification to the curing cycle. It's main disadvantages are that it is generally more translucent, and this can make printing on to dark gaments problematic. Printing with water based is also more difficult and time consuming for the print maker making it more expensive for the customer than plastisol. While technically part of the water based ink family, discharge printing involves the deactivation of dyes in the garment to bleach it back to its natural off white colour. Pigments added to the ink mean that bright vibrant colours can be achieved while still maintaining a super soft print. As synthetic fibres are unaffected by this process, it is limited to printing on to dark 100% cotton garments when a soft feel is required. Its other disadvantages are that it is more expensive than either of the other two ink types, and that colour matching can be less accurate than with plastisol and water based. Disadvantages: Limited to 100% cotton garments, expensive, not all colours discharge (such as royal blue), not all cotton tees will discharge (such as those that have been re-dyed), inconsistent colours.